The first weekend of March Madness was great but I have a feeling that the Sweet Sixteen is going to be so much sweeter. The round of 64 and 32 is over and the contenders have been separated from the pretenders. There are sixteen great teams left and when the weekend comes they will be narrowed down to eight. I am going to give my predictions for some of the marquee games this weekend. Midwest: The first game in the Midwest bracket is Oregon vs Louisville. Both teams got to the Sweet Sixteen by blowing out each two of their opponents. You might think Louisville a number one seed facing up against Oregon a number twelve seed, Louisville has a cake walk, but this Oregon team is no regular twelve seed. They won the Pac-12 tournament and led the regular season title for most of the year. The committee made a big mistake making these guys a twelve seed they should have been a six seed. It was just unfair to Oklahoma State and Saint Louis because they earned a high seed and earned to play a bad team but instead they played a team that should have been another high seed. This is going to be a hard fought game but I think Louisville’s defense is going to take advantage against Oregon’s inexperienced guards. I think Louisville is going to squeak by the FIghting Ducks. The other game in the Midwest bracket is Michigan State vs Duke. This, I think is going to be one of the best games in the Tournament so far. Both of these teams are power houses that are coached by legends. Both of these teams are used to winning so it wouldn’t be surprising if either one of them advances to the Elite Eight. I think the Spartans will easily be able to work the ball inside with Adreian Payne and Derrick Nix, but the x-factor for ole Sparty and Izzo is the play of point guard Keith Appling. He has been inconsistent through out the year and when he struggles it appears that MSU also struggles and they end up in the loosing column. This is why I think Duke is going to come out with the victory. 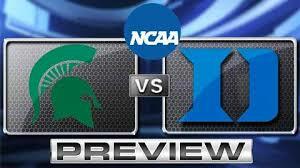 In Tournament play Izzo and his Spartans are 1-7 against Coach K and Duke in the Tournament. Duke advances. West: The West bracket has been a complete mess this year. There have been upsets after upsets. And the first Sweet Sixteen game in the West has surprised everyone. 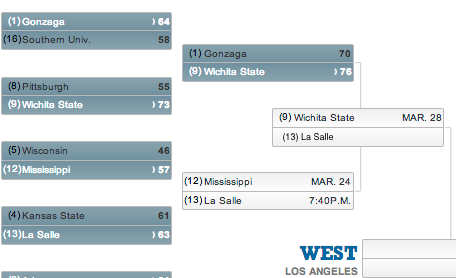 The ninth seed Wichita State Shockers take on the thirteenth seed La Salle Crusaders. The Shockers and Crusaders have shocked everybody. Both of these teams have shocked the world, lived up to their names and reeked havoc on peoples brackets. I think that La Salle is going to win this game and advance. Who knows maybe they could do what VCU did two years ago and go to the First Four to the Final Four. Wouldn’t that be incredible but first they have to get past the Shockers and the winner of the Arizona, Ohio State game. That brings us to our next match up in the West region, Arizona vs Ohio State. This game is like having both teams look in a mirror. They are such similar teams it is scary. Both of these teams are very talented and have the potential to win it all. This game is also a match up of the point guards, Mark Lyons vs Aaron Craft. This game is going to be neck and neck the whole time but I think Aaron Craft’s defense is too much for the Wildcats to handle. I have the Buckeyes moving on. South: In the South region the two games are very intriguing. The first game is Kansas vs Michigan. This game is like a heavy weight championship. It is two power houses who know how to fight. This game is going to be back and fourth, back and fourth. After this game both teams are going to be battle tested. Michigan’s bigs are going to have a hard time with Jeff Withey. He is just too good for Mitch McGary. Also Kansas’ guards have a gargantuan task ahead of them, they have to contain Trey Burke. I think this game is going to be a nail biter and both teams are championship contenders. My prediction is that Trey Burke is going to deliver the knock out punch and nail a step back three for the win. I have Michigan winning in dramatic fashion to advance to the Elite Eight. Hail to the Victors over Rock Chalk, Jayhawk. The second game in the South Region is the Florida Gators vs the Florida Gulf Coast Eagles. This game is a power house against the Cinderella team. Both of these teams are well coached and they have great chemistry together. In this game all of the pressure is going to be on the Gators. They do not want to loose to a CInderella team. I think they are going to be nervous and tense and that might be trouble. 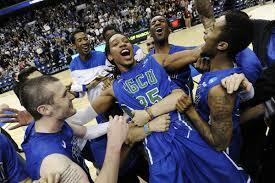 On the other hand Florida Gulf Coast plays relaxed and just has fun out on the court. They are enjoying the moment and taking it all in. This is whyI am taking the upset and having the Florida Gulf Coast Eagles advance to the Elite Eight. East: The first match up in the East bracket is Indiana vs Syracuse. Both of these teams are very talented, but most importantly both of these teams are hot right now. I think that this game is going to be close until the last couple minutes. I believe Indiana is going to pull away from Syracuse. The Orange are a very good team but the Hoosiers are too powerful for them to handle. 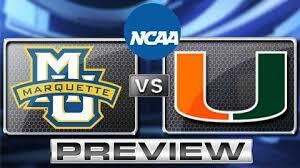 The Second game in the East region is Miami vs Marquette. I think this game is going to be the most lop sided game in the Sweet Sixteen. Miami is way too talented and experienced for this Golden Eagles team to keep up with. Marquette is lucky to even be in this round, they should have been bounced in the round of 64 by Davidson. They are going to get destroyed by the Hurricanes. I have Miami moving on and in my bracket I have the Hurricanes winning it all. Stay tuned, I’ll have the Match Up of the Day on Thursday.